If you have been cheated from a unscrupulous sales person before, would you trust and believe him and his products again and so easily? Beware of the "Snake Oil" sales man who always claim that his Company is reputable and produces product(s) that are of the best and finest quality, very effective and brings you great relief. And after you have trusted him and parted with your hard earned money, it turned out to be fake, a liquid of no beneficial properties as convincingly claimed. The PAP is likened to these "Snake Oil" sales persons. 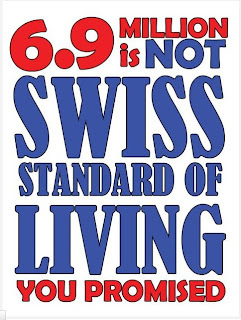 In the 1990's, Singapore's 2nd Prime Minister Mr. Goh Chok Tong promised and assured Singaporeans a Swiss Standard of Living, More Good Years, More Good Jobs. cheap foreign workers are now seen competing for and taking over these jobs. minimal rise in wages eaten up by high inflation resulting in no real wage increase. the list is endless . 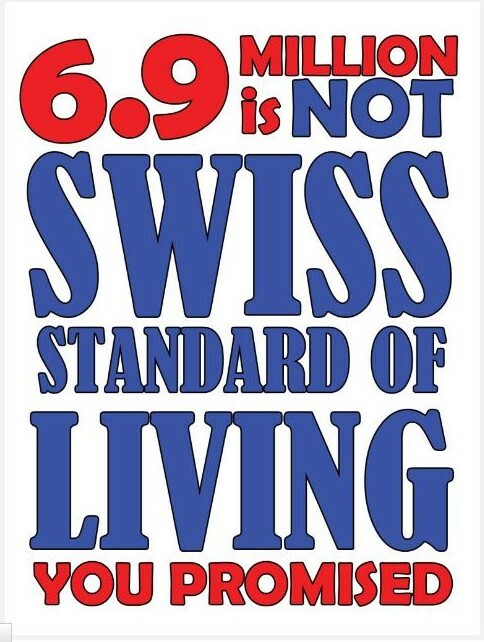 . . . .
Now where is the Swiss standard of living as promised, Mr Goh? Where are the "more good years" to sweeten the promise, Mr Goh? Where are all the good jobs assured, Mr Goh? No answers from our honorable Emeritus Senior Minister Goh Chok Tong. Not even a whisper! On 29th January 2013 just after the Punggol East SMC by-election which was won by Workers Party Ms Lee LiLian with a majority 54% votes on 26th January 2013, Singaporeans are presented with a surprise from the PAP; a White Paper on Population targeting to increase population to 6.9 million from the current 5.3 million. From day one since the release of the White Paper, it aroused more anger and black faces from the ground. The whole of Singapore is awakened, the whole of Singapore is talking! This has also prompted Mr. Gilbert Goh from Transitioning to organize a legal protest at Hong Lim Park, Speakers corner on 16th February 2013 from 4.30pm to 6.30pm. 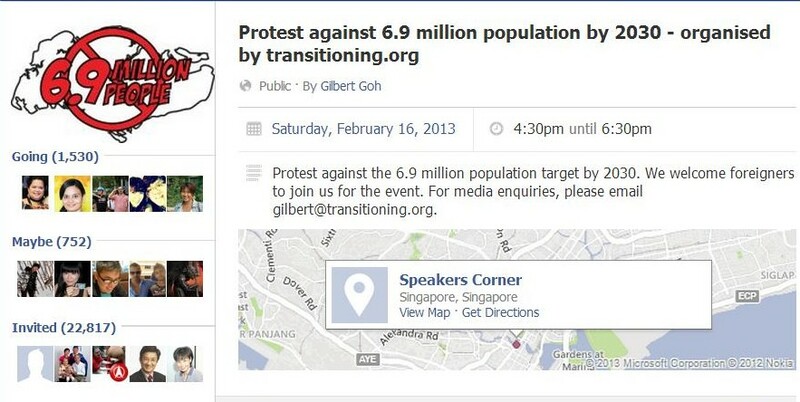 From its facebook page, it had garnered more than 1500 supporters intending to attend the protest. Note that Hong Lim Park, Speakers Corner is a legal venue designated for mass public gathering. Do not allow PAP to ruin our lives, our future, our childrens' future. Do not allow the PAP to destroy the nation which our forefathers and us true born Singaporeans have painfully built since our Independence day on the 9th August 1965. Let's Stand up for Singapore!